Pankaj Ghemawat joined New York University Stern School of Business in September 2014 as Global Professor of Management and Strategy in Stern's Management & Organizations Department. Professor Ghemawat has been appointed by Stern to lead a new center, the Center for the Globalization of Education and Management, to drive scholarship and pedagogy on the business implications of globalization. He is also the Anselmo Rubiralta Professor of Global Strategy at IESE Business School. Professor Ghemawat has written five books and more than 100 research articles and case studies on global business strategy and is one of the world's best-selling authors of teaching cases. He also compiles an annual globalization index that looks at the connectivity of more than 130 countries with the rest of the world in terms of trade, capital, information and people flows. Professor Ghemawat is a fellow of the Academy of International Business and of the Strategic Management Society. His most recent book, World 3.0 (2011, Harvard Business Review Press), reexamines beliefs about markets and globalization, praising market integration while addressing its potential negative ramifications against the goal of increasing prosperity. World 3.0 won the 50 Thinkers Book Award for the best business book published in 2010-2011, the Axiom Business Book Gold Award in the International Business/Globalization category and the IESE Alumni Research Excellence Award. And in August 2014, he received the Eminent Scholar award of the International Management Division of the Academy of Management. From 1983 to 2008, Professor Ghemawat was on the faculty of Harvard Business School, becoming the youngest person in the school's history to be appointed a full professor, in 1991. 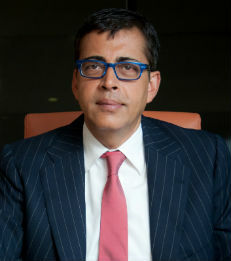 Ghemawat was also the youngest "guru" included in the guide to the greatest management thinkers of all time, published in 2008 by The Economist. Since 2006, he has been on the faculty of IESE. Professor Ghemawat earned both his B.S. in Applied Mathematics and his Ph.D. in Business Economics from Harvard University.